ARTICLE: Ebook Creation - Finding the Most Profitable Niches to Create Ebooks . . .
Ebook writing can be a very profitable business if you know how to go about it. Once your ebook gets out online and people start finding out about it, you can start making money while you sleep - literally. However before you can start making money you will first need to do some research to find out exactly what type of e-book can make you the most money as well as what niche you can target. I would suggest that you visit various forums, such as Yahoo answers, wiki answers, etc and search for questions within you niche. Find out what people are asking about the most. For instance if you want to target the weight loss niche you will search for weight loss related questions and answers. You will see questions such as "which exercises will help me reduce my belly fat?" etc. This should give you a good idea of exactly how well your book will do. Visit various websites and take a look at the various products written about weight loss. See what they are saying and whether or not they are answering the questions that you found on those forums. Your task is not to mimic their books but to write a much better book. Make a list of the topics you plan to cover and decide just how many pages you plan to cover those topics under. When writing make sure that you try to reduce fluff as much as possible. Your goal here is to give people good solid information that they can use to reduce their weight. If you do this successfully you will have no problem selling thousands of copies of your ebooks. Do you want to learn how I build a list and make money online? I've just finished writing a brand new FREE ebook called '7 Steps to Profits and List Building with Article Marketing'. Instead of trying multiple eBook marketing strategies, focus your energy on the top strategy that you know will produce immediate results - based on your skills and knowledge of marketing online. For example, article marketing is the top eBook marketing strategy I use to drive highly targeted - pre-qualified - traffic to my Website. I find this strategy to be the most effective based on my knowledge of making money online-and the costs are minimal. (2) Creating your schedule. If you can, dedicate most of your free time to your eBook marketing campaign. Create a schedule on a calendar to insure you stay consistent. For example, I work on my strategies seven days a week at least one hour each day. I discovered early that when you start an online business, you have to spend every day of the week marketing your info products in order to compete with the bigger Websites. Having a schedule keeps me on track and allows me to evaluate the progress of my e-book marketing campaign. (3) Evaluate your progress. Leave two days at the end of your eBook marketing calendar to evaluate your progress-One day to check your sales (site stats), and one day to outline next months marketing schedule. Once you get used to following this system, you'll find the time to include additional eBook marketing strategies, resulting in more sales and revenue and most important-a better life. Almost everyone who gets online and wants to learn how to make money online is told that in order to be successful, they need their own products to sell. Most internet marketers for the most part even tell people that they need to create a $50 to $100 product to really make money. However, the problem is that a product you can justify charging that much for, also takes a fair amount of time to create. And not many people will have that luxury of time to do that. During this process, most people then end up giving up and going back to their day jobs. Many internet marketers would advise you to create a massive product to get the kind of money you want for your efforts, so that you won't have the confidence to create anything of your own and essentially become their competitor. Some people just don't want you to ever compete with them. With that in mind, you have to realise that what they tell you is designed to make sure that you keep spending money to help them make more money by doing nothing more than promoting their affiliate programs. Well, the good news is, you do not need a 100 or 200 page report or ebook to make money on the internet! What you may not realise is, all you need is merely a 7 to 10 page report that can be created in one evening. Maybe creating a product you want to sell for $50 to $100 or more is a lot of hard work, but creating a short 7 to 10 page report for $5 to $10 each isn't. And they don't take long to create. I'm talking days, not weeks or months. The sooner you can finish a product, the sooner you can get paid and move on to creating another. You don't have to create one $50 to $100 product. You can simply create 5 to10 $10 products and offer them in a way that makes it natural for people to buy them in bundles. The easiest way to get people to buy more than one product is to make them all related. Make it so that one product seems a little incomplete without the other. The truth is, when you offer a group of low cost, attractive products on a related topic, many people don't buy just one. They buy bundles of low-cost products on impulse. 1. Start by selling one low-cost report. 2. As you create each new report, approach people who already bought the previous reports from you. Past customers are usually the easiest sale to make especially if they're thrilled with past purchases. As time goes on, you'll build up a nice sized library of short reports that sell for a nice profit. Until that time, you've made sales all along the way instead of waiting until you had a massive "ebook" to sell. 3. You want to make it an easy choice for someone who buys one of your reports to buy the others, and a surefire way of doing that is to make sure that you're offering them more of the same type of information they already bought. When you create a series of reports, it is important to remember that all of your reports need to be on a similar topic or the same topic if possible. 4. None of these reports have to be very large. Maybe as few as 10 pages. They only have to be long enough to deliver on the results promised whether it takes ten pages or thirty to get the message across to your audience. You'll also note that professionally done graphics also add to the credibility of the information being offered. If you have an ebook that is not selling well, you could also consider breaking up the contents into smaller reports. Basically you take your ebook apart, take each chapter and beef it up so that it stands on its own as a special report. Then you would charge a lower price for each special report you pull from your product that would add up to be more than your actual whole product costs. If you're struggling to make money online, sometimes the best thing you can do is start small. Success breeds success. Vivien Tan is a part-time internet marketer who sells high quality ebooks on the internet and a communications specialist by profession. You may visit her website at http://www.best-global-ebooks.com / or her blog at http://best-global-ebooks.blogspot.com /. It doesn't matter if your ebook is free or not, the first thing you need to be doing is submit it to ebook directories. The main reason is you will have the advantage of visitors from these sites. And it's not just any random visitors. These sites send you visitors that are actually interested in what you've written. Another reason is that these sites give you quality back links that get the attention of search engines like Google and Yahoo. That is of course if you link back to the directories from your page. It's amazing how simple back links can improve your ranking and better rankings mean higher placement in those search engines. Blogs are a wonderful tool for promotion too. Make sure it is directly linked to your ebook page. From here you can post tid bits about your ebook that the search engines will pick up on. A question and answer script on your site would be even better as you can answer various questions concerning your ebook which the search engines will also scarf up. All those who visit your website are looking for important and useful information. Make sure to place relevant content that is rich with keywords on your webpage and blog. So you now have a full database of article marketing content you have submitted to an article directory. The question is what to do with them next? On the same note, what else can you do with an article you have written on a niche to make it more profitable? Truth be told, you can write your very first eBook with it. Here's how. Step 1: Now that you are decided on a more specific topic for your niche, consider writing a how-to article or simply, write down a bunch of informative tips to make a whole article. Step 2: Try to limit the word count to 300 to 500 words. This means that if you are to provide 5 tips, write at least a 60-word explanation for each. Step 3: Now that you are done with your new content for article marketing, try writing some more by further expounding on each of the 5 tips you have given. Now this can be of a different type. For example, if you wrote about the 5 skills needed to become a good guitar player, the next step is to discuss on how your readers can develop each skill. In this case, if one of the skills is "playing guitar by the ear", write an article on ear training. Do the same for the other skills and you now have a total of 6 different articles including the original. Step 4: You can use the contents for article marketing and at the same time, you can do further research on each article. If they are 300-word articles, expand each of them to become at least 1,000 words each. Write subtopics, give examples, testimonials and case studies and turn the article into a chapter of your eBook. Step 5: Do the same for the other articles and you will have a 5-chapter eBook all set for self-publishing. Do you want to learn how I build a list and make money online? I've just finished writing a brand new FREE guide. Download it FREE here: Internet Marketing Profits. Ebook, otherwise known as electronic book, ecobook or e-book, came to the scene almost a decade ago. With the fast moving society towards a digital age, it was easy for the ebook to get accepted by the techno savvy readers. The Internet being the principal form of communication these days, the popularity of the e-books is growing leaps and bounds among the readers. There are many authors out there who have attempted writing and publishing ebooks. Especially, for people who aim at freelance writing, this is a way to earn extra bucks. However, it is not that easy to create a successful ecobook and satisfy the audience. If you want to write your e-book and exhibit quality writing, you need to understand the key of writing it. Selection of topic for your electronic book is really important to make your readers spend their money on it. Select a topic that most of the people are interested in or else you won't be able to generate sales. Again, consider a topic you have an in-depth knowledge on so that you will enjoy writing on it and also you can offer people the information they are looking for. Whether online or offline, it is the title that has the power to draw the attention of the visitors. So try to develop a title that is appealing. If the title of your ebook is able to generate the curiosity among the reader, it is the first step of your success as you can get visitors. Your expertise as a successful e-book author can be proved only if you are able to create informative content for the reader. That is why it is important that you should have through knowledge of the topic. Moreover, the content should be well-written and easy to understand. The covers of your books play a crucial role in capturing the attention of the readers. By selecting proper color combination and graphic design you can make it visually appealing for your prospective clients. 1 - The first step towards publishing your e-book on the Internet is to choose a picture that represents your book. It is better to create a unique image for you book by uploading a picture or asking a professional to do that for you. Alternatively, you can find a wealth of images on different websites that are available free of cost. 2 - Before publishing your ebook, make sure to convert it to PDF format, Raw HTML format or windows executable file. The PDF format is the most widely used format for distributing your book as the format can be access on any platform. 3 - The final step is distribution of the e-book. Finally, it is essential that you should consider about the security of your book across the web. Publishers use different safety methods to prevent any unauthorized access of their electronic books. You need to collect proper information about it for a successful publication. Where to Find People to Buy My eBook If I've Just Started Out? You are now sitting proud in your chair having finished the final touch to your first e book. You are proud and anxious at the same time. You're wondering, "Now I've got this ebook finished, how do I get people to buy it and make me some profit?" And that's really the question, isn't it? If you are just started out and wondering how and where to find people to buy your ebook online, read on because this article is going to line out a few tips to get things into the starting gear. problem or fulfill needs in that niche. You want your domain to represent your unique title and offer relevant to your targeted group of people. Remember; people don't buy e book. They buy solution to their problem offered in your e book. It's a known fact that your visitors are not going to buy anything from you the first time they saw you. They won't believe you at first and they might not be interested at first. What the direct response site need to do is to grab their attention, pull them in with irresistible offer and prove your case. You might need to do this over a period of time so building relationship for example with Autoresponder is a smart thing to do. Autoresponder is a relationship building tool you can't go without when marketing online. In fact, your subscribers often time will become your most important customers buying your e book online. This is obvious right? How else do you expect to receive payment without one? So, this is how you ever get your first eyeball to your offer; through the Search Engines. To optimize your effort using this method, your groundwork with setting up your website must be done superbly well beforehand. Make sure the domain name is relevant. The website headline copy contains specific, targeted keywords to your niche, and so do the sub headline and the website copy in general. You can always find people to do all these for you if you want. Just make sure you get it right the first time. They are very important to the search engines. If people do a search and your website come on top, imagine the amount of eyeballs you get. More eyeballs see your offer, more chance for you to close a customer. Forum can provide you with targeted traffic, sometimes more targeted than the Search Engines. That's why defining your niche upfront is utmost important before you type in your first bestseller word. By leaving your signature in the author resource box, other forum members can get to your site in a click. It's that simple. This might not be the preferred way to start out promoting your first e book but if you have experienced the power of paid traffic, you already know that nothing beats the speed and focus this method can bring the traffic to buy your e book online. You can join affiliate network online for example Clickbank or Paydotcom, and use the power of affiliates to bring you the sales. And if you choose to do this, make sure you provide your affiliate with useful tools that help them promoting your e book. Starting out often means lots of effort. It requires attention, focus and dedication but if you persist and get everything right from the beginning, finding people to buy your ebook online will become an enjoyable game which you look forward every time you produce your masterpiece; be it your first or hundred. Nezrul H is the partial owner for wholesale e book store featuring some of the most popular marketing, business and make money online e book. Visit http://ebook-at-karungwang.com/wholesale-ebooks to browse for your online business e books, tips and tools. Can You Make Money With EBooks During a Recession? The other day a friend of mine called and asked for some advice. He had been laid off from his manufacturing job of the past 13 years. This was a really tough break. The good news is he'd have some time to collect unemployment insurance. That was the good news. The bad news is that he really needed to either find a new job in a hurry or figure out a way to start making some money. My recommendation was that he find a new job. He agreed. It's the same advice I'd be giving to you, if you and I were having this conversation. Definitely work on finding a new job. But in the meantime, start an eBook publishing business. I'm going to be really honest and potentially hurt your feelings when I say this, but I think you're crazy if you don't at least make an honest effort to start your own business at some point in your life. Now is a particularly good time to start one. Why now? Aren't we in the middle of a recession? There's something you need to realize about life. It goes on. This recession will come and go, and there will be more recessions in the future. When I started my eBook publishing company, I was deep in debt, had a job I hated, and quite honestly the economy wasn't doing so well. But once I figured out what to do, and how to do it, making money with eBooks turned out to be incredibly easy. Can you really make money during a recession by starting an eBook publishing company? Without a doubt, yes. At one point in time you had to go to a local library or a bookstore to find a great book. You could look over what they had and find something that interested you. Today we have the web, and you don't have to leave your home in order to get a wonderful book. There are a variety books that used to only be available in books, CDs, or even cassettes. Today the publishing industry has developed even more and you can actually get books online and download to an iPod or other mp3 players that you have so you can take them anywhere. You can quickly download ebooks from the web to your computer or to a digial reader that you may have. Ebooks and downloadable books are becoming more and more popular with people today. paying close attention to Apple's iphone and ipod touch devices. will provide more of the iphones popular functionality. messages through the online retailer. needed to make their e-mail address public. Clearly, this eliminates most of the benefits of being "friends" on Amazon. 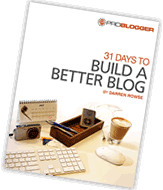 blog posts will appear with, which severely reduces their value. 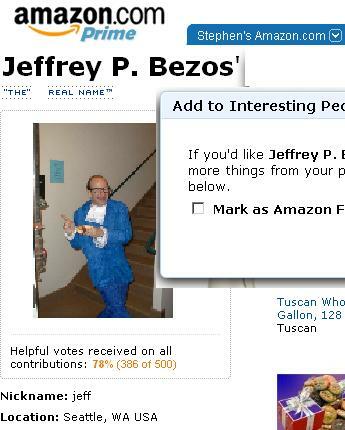 for "Amazon.com: profile for [name]." "Writing truth to light...Soul Deep, Spirit Wide"
Author, Erica Miner along with the Ann Arbor Book Festival will join us today @ 5pm on Michigan Literary Network Radio Show! literary talent of poets and authors to connect and educate you! Erica Miner has a passion for writing! In a series of interviews and articles found in these web pages, she explains her writing process and how music, poetry and her life experiences have affected her writing. Her highly intuitive writing runs the gamut of emotions, reflecting her own life's experiences. Our poster this year features four book quotes. Click any of the smaller images to see a larger representation or click here to visit our gift shop to order a full-size poster. This year's poster design was created by David Ryan Design. You can learn more by clicking here. This year's poster design was created by David Ryan Design, a growing design company based in Brighton, Michigan that creates everything from silkscreen to web design. David Ryan Design strives to produce professional looking yet still entertaining visual work. The 2009 Ann Arbor Book Festival was an exciting project for us and we wanted to create something a bit different than posters from past years. We hope you enjoy the humor and take home the message. Click on any of our links to stay connected or visit our Stay Connected page to learn more about our social networking presence. As we are working on the details now for our upcoming 6th annual event, it seemed fitting to look back over our first 5 years and put together some information to share with you. As we look forward to our next 5 years, it is critical to continue to have the support of our community, especially in these challenging economic times. Our annual Short Story Contest has begun. Stories may be submitted following the guidelines - click here for details. Colson Whitehead is featured on this week's Sunday New York Times Book Review cover. Colson will be at our Festival with his book Sag Harbor. TA Barron and Gary Schmidt will both be appearing on May 16 at this year's Festival. Please plan to come and meet them! Click here for a flyer. Dr. Perri Klass, pediatrician and writer, will be interviewed on May 16 by Dr. Chris Elkins, Ann Arbor pediatrician, about her many interests: medicine, family, teaching, early literacy in children, and how writing has been a theme that connects all of these for her. a quarter of million books that are made. If you are interested, please contact: motownwriters@yahoo.com. If you are an editor interested in donating your time, please email us also. SEATTLE--(BUSINESS WIRE)--May. 13, 2009-- Even great books can be overlooked. Amazon customers raved over "Legacy," a self-published novel by 16-year-old Cayla Kluver, with customer review titles such as "loved it, loved it," "rich lyrical tapestry and story" and "breathtaking in scope and execution!" Despite winning several prizes from literary groups and accolades like this from readers, Kluver's debut novel achieved only modest sales. Amazon.com, Inc. (NASDAQ: AMZN) today announced a new program, "AmazonEncore," to help readers discover exceptional books from emerging authors, such as the program's first book, "Legacy." AmazonEncore is a new program whereby Amazon uses information such as customer reviews on Amazon websites to identify exceptional, overlooked books and authors that show potential for greater sales. Amazon then partners with the authors to re-introduce their books to readers through marketing support and distribution into multiple channels and formats, such as the Amazon Books Store, Amazon Kindle Store, Audible.com, and national and independent bookstores via third-party wholesalers. This summer "Legacy" will be revised by the author and re-issued as an AmazonEncore edition in print on Amazon websites around the world, in physical bookstores, as a digital download from the Kindle Store in less than 60 seconds, and via spoken-word audio download on Audible.com. "Sometimes exceptional books and new authors don't get the attention they deserve. We're fortunate at Amazon to have customers who know great books and aren't shy about telling us when they find one. We developed AmazonEncore to connect readers with great books that were overlooked the first time they were released," said Jeff Belle, Vice President of Books for Amazon. "Cayla Kluver is a gifted young writer who shows promise for the future. She exemplifies the kind of authors that AmazonEncore will support and we look forward to showcasing 'Legacy' and many more similarly talented, but undiscovered voices to our customers through this program." "'Legacy' is a rare find—an elegant and enthralling tale of love and duty, family and country—written by a teenager," said Amazon Books Managing Editor Daphne Durham. "With a talent for richly drawn characters and an understanding of the trappings of responsibility that belies her age, Cayla Kluver is a writer to watch." Cayla Kluver authored her first book at the age of 2 and has been writing ever since. Back then, she dictated her story to her mom and drew (scribbled) her own illustrations. Today, she uses a laptop and various drafting and drawing software. The tools may be different, but the need to put things on paper remains. She wrote the first draft of "Legacy" at the age of 14 while attending public school. That same year, she appeared in two school plays, received a first at the Wisconsin State Solo and Ensemble Vocal Competitions, and completed freshman English at her local university. In 2008, she and her mom formed their own publishing company and released "Legacy" to the public just one month before she graduated from high school at the age of 15. She has spent the past 10 months promoting "Legacy" and writing its sequel, "Allegiance," and is now at work on a third book in the series. She lives in Wisconsin, where she enjoys spending time with family, friends and her cat, Nina. While some media companies are avoiding print, Vibe Media Group, parent company of Vibe Magazine, is embracing it. Coming off the heels of Vibe's all-time best-selling cover featuring Chris Brown and Rihanna, Vibe announced today that they will launch a new entertainment and celebrity focused magazine entitled The Most!. The $4.99 magazine, slated to hit news stands July 16th, will be accompanied by a corresponding blog, themostmag.com, debuting two weeks early (June 1st). The Most! will feature celebrity fashion, lifestyle, red-carpet moments, travel, and news. The site will also review multiculturally-oriented television, DVDs, films, and book properties. The Most! will fill a void at the newsstand by reflecting Vibe's commitment to urban style, celebrity, beauty and culture through a more tabloid-themed publication. A purely lifestyle and celebrity magazine featuring some of the most trendsetting stars in the world, The Most! is "urban" with pride and mega style. "We are excited to launch a fun, innovative media vehicle — both online and on newsstands. We believe there is a sweet spot in the consumer and advertiser marketplace for THE MOST! Advertisers across many categories are anxious to see this debut and we are proud to have leading brands from automotive, telecom, personal grooming and fashion industries in our launch issue," says VIBE Publisher Edgar Hernandez. "THE MOST! has an adventurous, fun spirit. Our goal with THE MOST! is to give our readers 'the most' of what they crave," says Danyel Smith, Editor-in-Chief of VIBE/Vice President/Editorial Director of VIBE Media Group, and Founder of THE MOST! A while back, we gave you 7 Ways to Start Video Blogging Immediately. Although I gave you the low-down on how simple it is to start posting videos online, I didn't realize that some people might be a little camera shy. This new installment will give you a few ways to create original videos without actually putting your face on the web. You don't even need to own a camera of any kind. Have you ever been watching a YouTube video and thought it would be much more entertaining with a different background track? Well, now you can make your dreams come true with YtDub. It allows you to combine the visuals from one YouTube video with the audio from another. The interface is a littel rough around the edges, but the process is pretty simple and YtDub even provides a search feature to help you find videos to dub. Once you done, you can share the video with your friends so that they can rate it and comment on it. Check out this video for an example of what's possible. Animoto has been around for quite a while now, but recently caught my eye again when they gave procrastinators a last-minute Mothers's Day gift. It allows you to create a custom slideshow with background music and images of your choosing in just a few minutes. You can upload your own images or import them from another site (Flickr, Facebook, Photobucket, etc.). Once you have the photos you want, you upload your background music or simply pick a track from Animoto's extensive library. At this point, Animoto analyzes your music and creates pretty impressive video from your images. Creating a 30-second video with Animoto is free, which may be good for most uses. If you want to step your game up, you can purchase a full-length spot for $3 or get an all-access pass for $30 and create an unlimited number of full-length videos for the year. Animoto also makes it easy to post your videos to YouTube or simply download them to share on another service. Here is a quick demo I did using the service. At first, I thought Stupeflix was just another slideshow creation service, but on closer examination, I'm really impressed. It's not as easy to use as Animoto, but there is a much higher level of flexibility, since there is no algorithm putting the video together for you. The real power of Stupeflix is in the XML API. As one example of this power, they created over 1,000 videos from the contents of Wikipedia all in under 59 minutes. If you have no clue what XML is or have no interest in editing XML code, you can simply stick to the graphical editor to make your videos. Here is a quick example where I took an existing demo created from Wikipedia and added some background music by editing the XML. Video is a very powerful method of promotion. Whether your just trying to get the word out about your blog, selling a product, or promoting a cause, having a video can make the difference. Using Animoto or Stupeflix makes it that much easier to put a professional-looking video together with minimal effort. Once again, technology lowers the bar for entry into rich media. If you're serious about your success, you now have one less excuse about why you don't do video. Essence, the leading media and communications company dedicated to African-American women, announced a partnership with CNN and HLN to debut What Matters, a weekly series on issues of importance to the African-American community. The recurring segment, which debuted on CNN on Friday, May 8, will feature topics ranging from 401(k) strategies to elder-care issues to pop culture. What Matters is an extension of the regular news items and features in Essence magazine, as well as the ongoing multicultural programming on CNN and will be developed collaboratively. What Matters will be available both on on-air and online. The online segments will be hosted on CNN by Tony Harris and Don Lemon with contributions from Roland Martin, Fredricka Whitfield and T.J. Holmes. Online users can view the "What Matters" segments on-demand at CNN.com and on Mondays via CNN.com Live. This online content will be available beginning May 15. In addition, Essence.com will offer users related articles, additional commentary, blog discussions and the opportunity to view the "What Matters" segments. "Essence is proud to partner with CNN, HLN and CNN.com to launch What Matters as a platform to inform, educate and define the cultural discussion," said Angela Burt-Murray, Editor-in-Chief, Essence. "Last year's collaboration on the Essence/CNN co-production CNN & Essence: Reclaiming the Dream laid the groundwork for What Matters — a project that will combine our reach and expertise to further the development of quality programming for African-Americans."